Jillian Rose Banks, known simply as Banks (often stylized as BANKS), is an American singer and songwriter from Los Angeles, California. The above is the cover artwork of her EP titled London, released in September, 2013 via Harvest and Good Years. 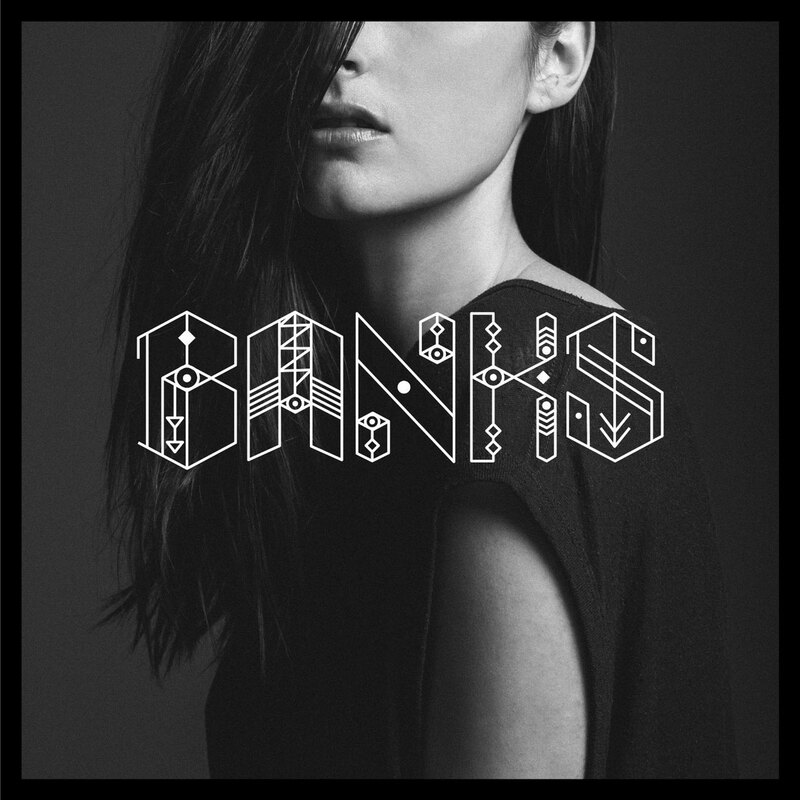 The font used for the “BANKS” on the cover is Dogma from YouWorkForThem. YWFT Dogma is a fresh and abstract handset design that contains numerous designs of each and every letter, in both outlined and filled formats that you can color and customize to your own sweet likings. However, it is not available as a system font, but rather is designed to be set by hand in a program like Adobe Illustrator, and is ideal for customization when designing headlines or poster projects. You can view more details about it here. The YWFT Dogma font identified above is not available for free, please follow the link above and purchase the font. Meanwhile, you can take a look at our collection of fonts for cars, pop music and apparel as well as round-ups of new & fresh fonts around the web. In addition to BANKS, It seems we can’t find other examples (logos, movie posters, album covers etc.) of YWFT Dogma typeface in use.